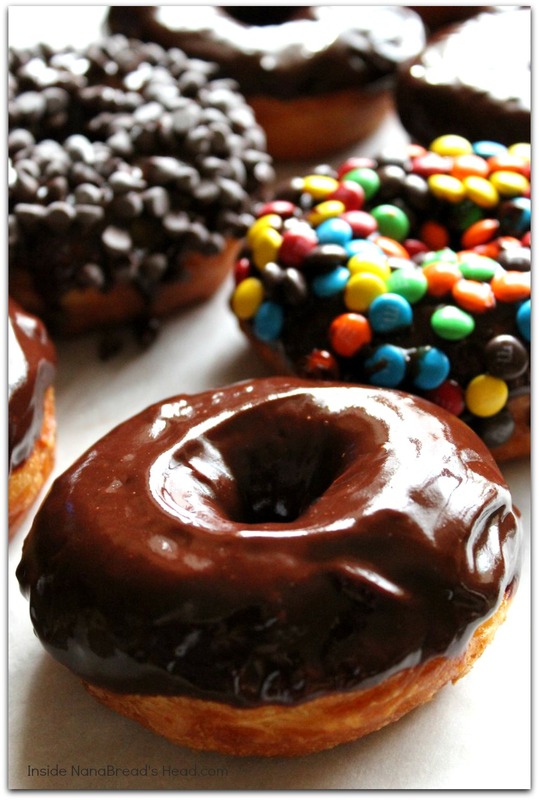 Tag Archives: donuts or doughnuts? My position is firmly on top of the fence. A good 80-90% of what I make is from scratch, but sometimes quick and easy is what we need. And these are easy. Incredibly, beautifully easy and perfect for those Saturday mornings when all you want is a big cup of coffee and to get breakfast on the table in a hurry. Start by heating 2″ of canola oil to 325F in a deep, heavy pot. While your oil is coming to temperature, unwrap your can of biscuits and cut center holes. Fry until golden brown, turning once. 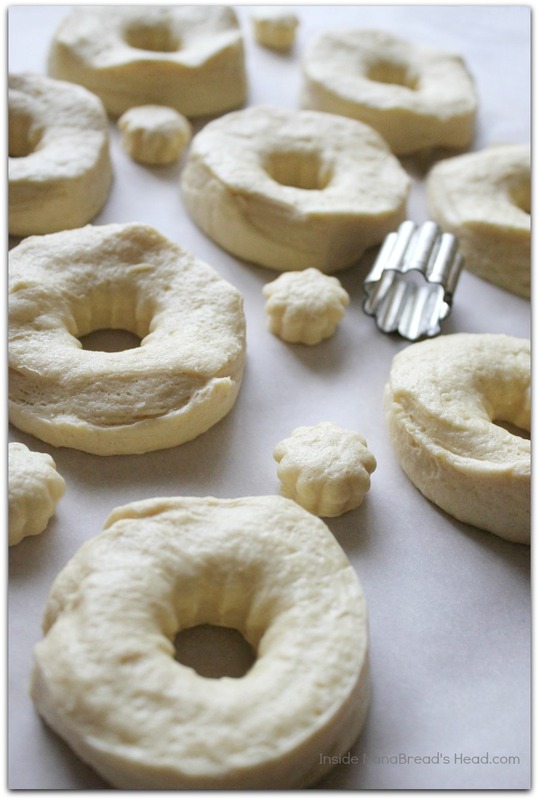 Remove to paper towels and repeat until all donuts are fried. Cronut? 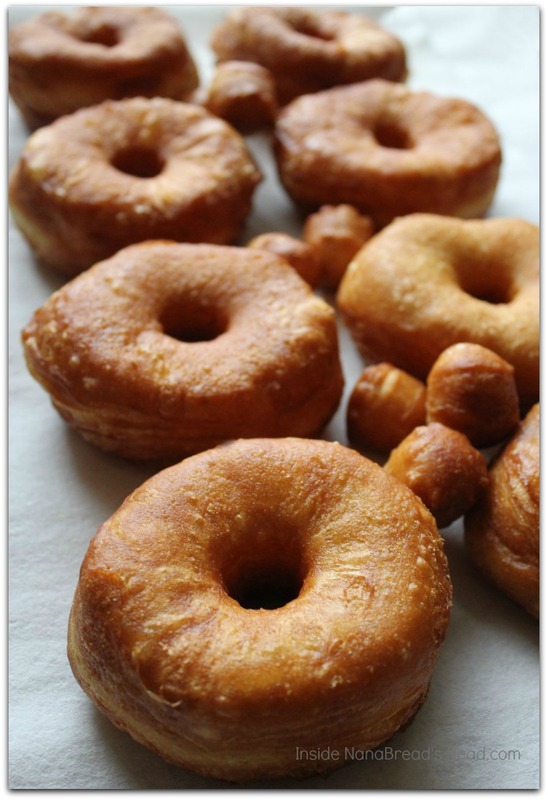 We don’t need no stinkin’ cronuts! Now you could shake a little powdered sugar over these to get them in your pie hole quicker, but I wanted chocolate. Don’t judge. We all have those days. 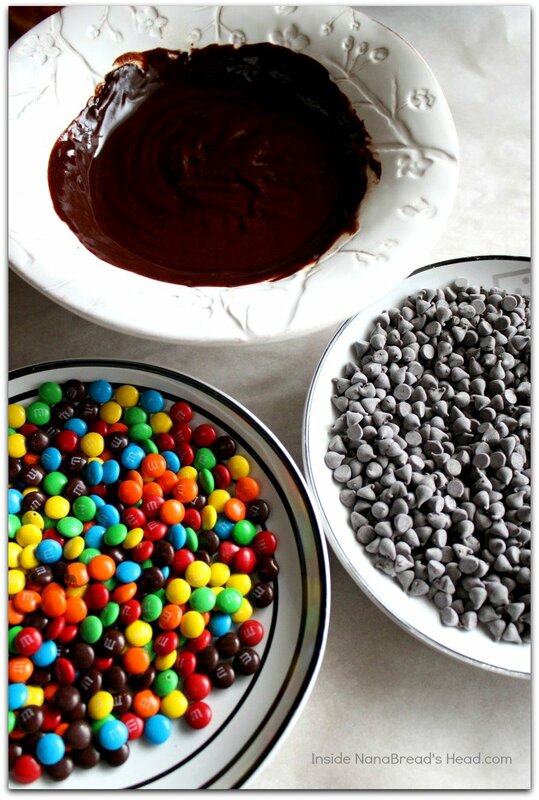 I put one cup of miniature M&Ms on a saucer and one cup of miniature chocolate chips on another. The remaining cup of chocolate chips went into a bowl with the heavy whipping cream and butter, then into the microwave for 90 seconds. 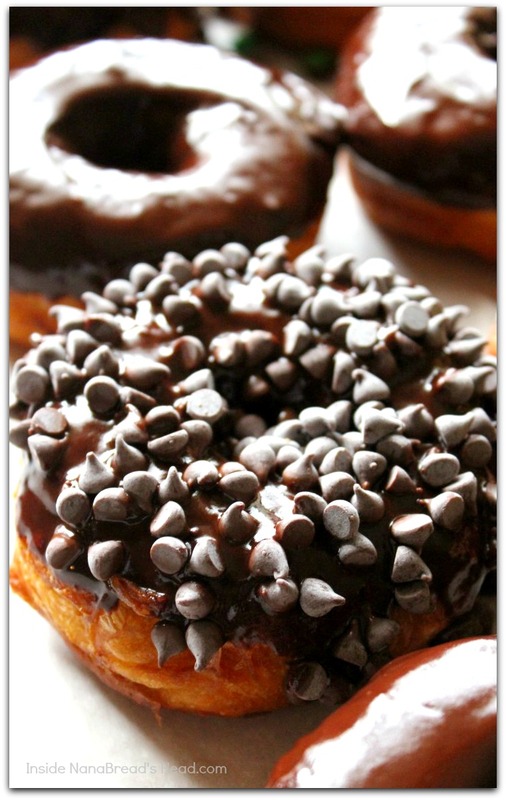 Once melted and whisked, I had a bowl of glossy, gorgeous ganache to dip my golden orbs in. No, not THOSE golden orbs, silly! These. 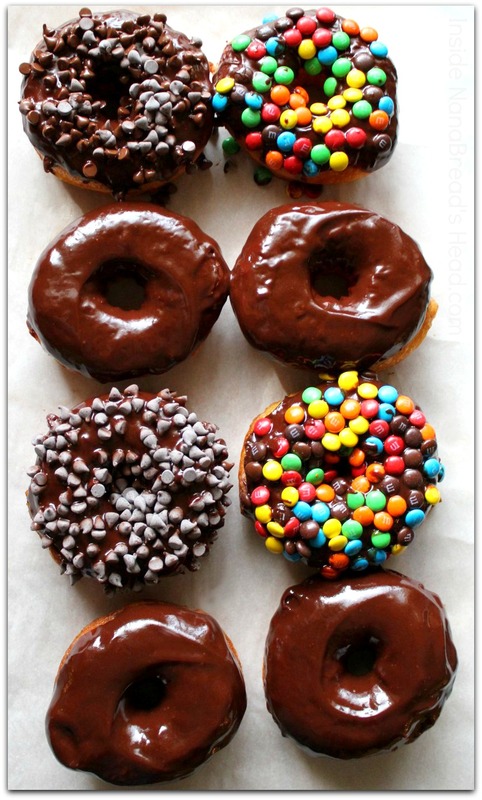 Plain chocolate glazed are yummy, but chocolate on chocolate is crazy good. 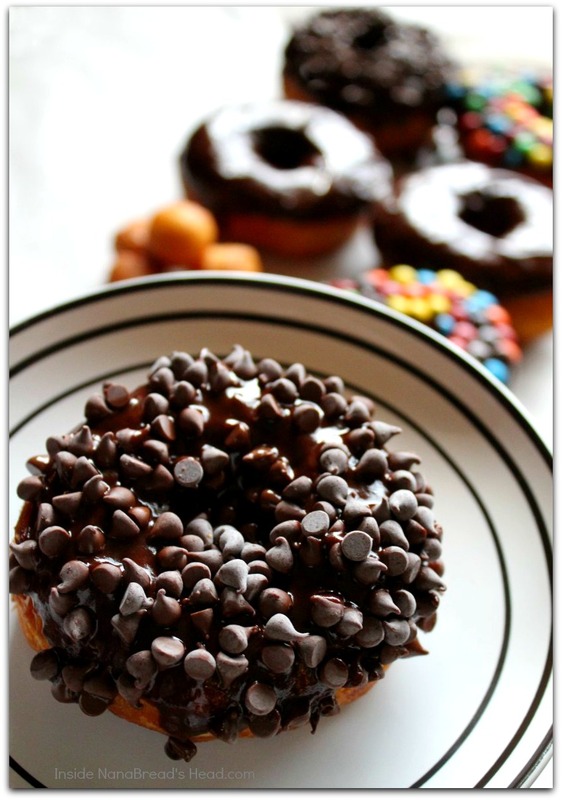 The key is to dip the donut into the ganache, then let it sit for a few minutes. It gives the ganache time to set up a little before dunking them into toppings. It also gives you time to lick the chocolate off your fingers. What? Where are all the donut holes? I don’t know what you’re talking about. Okay, so I ate the donut holes. Someone had to. Please forgive me blah blah blah, I beg of you. 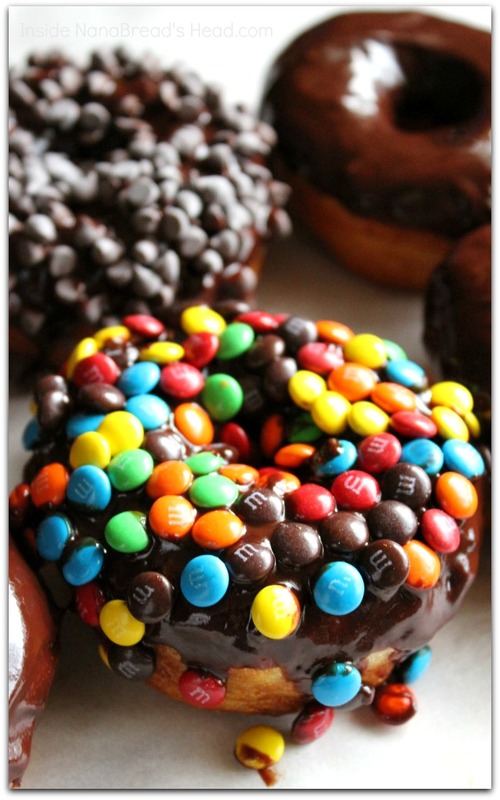 Would it help if I bribed you with a donut? You’re right. I have no shame.